While state lawmakers have expressed interest in a widespread curtailing of the state’s economic incentive program, Gov. Greg Abbott is requesting $95 million for the state's film incentive program in the next budget. Amid growing talk of curtailing state incentive programs, a representative from Gov. Greg Abbott’s office told Senate budget writers Tuesday that Texas’ film incentive program needs at least $70 million — but ideally $95 million — in the state’s next two-year budget to keep the state’s film industry thriving. “We think this program is very important,” Stacey Napier, director of administration in Abbott’s office, told the Senate Finance Committee. “We do have data to show the program is working. It’s bringing in tax revenue." The state’s six-year-old film incentive program offers financial grants to films, television programs, commercials, video games and projects that spend most of their production time in Texas and hire mostly Texas residents. State lawmakers have expressed interest in reducing the state’s economic incentive programs, which have been under a harsh spotlight over the last year following a state audit that described the state’s Texas Enterprise Fund as being run with lax oversight. Senate Finance Chairwoman Jane Nelson’s proposed budget includes cutting the film incentive program’s budget by 89 percent, from $98.8 million to $10 million. Yet backers of the film incentive program have pushed to be viewed separately from other incentive programs, arguing that film incentives are more difficult to game because the grants are only awarded after a project is completed. Last session, the Legislature gave the film incentive program roughly $95 million for the biennium, the largest appropriation by far in its relatively short history — a more than $60 million increase from the previous budget. The industry response was swift, said Rebecca Campbell, executive director of the Austin Film Society. The annual income at Austin Studios increased by 83 percent. Abbott’s office has formally requested $95 million for the film incentive program. However, at Tuesday’s hearing, Napier said that the program “would need to be at least $70 million” to provide a meaningful impact. Since 2009, when the state began granting film incentives, the Film Commission has doled out $126 million in 687 awards, nearly half of that spent on television productions, according to the Legislative Budget Board. Last month, Abbott proposed abolishing the Emerging Technology Fund, which funds technology start-ups, and putting half of the fund’s money toward helping universities recruit more prestigious faculty, and the other half in the Enterprise Fund. 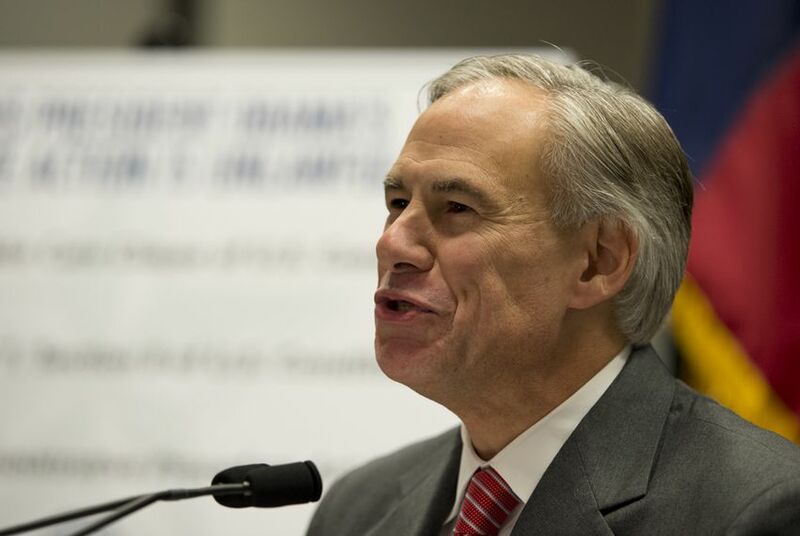 Abbott has called for reforming the Texas Enterprise Fund but keeping it. “He does believe that in order to be competitive with other states, a deal-closing fund is needed, Napier told senators on Tuesday. She added that Abbott wanted to wait to see how the Legislature reforms the fund before advocating for a particular funding level. State Sen. Paul Bettencourt, R-Houston, said he was happy that Abbott was shelving the Emerging Technology Fund and said more transparency of any remaining incentive programs was vital. “Frankly, economic conservatives don’t know why we’re in the business of picking winners and losers at all,” Bettencourt said. But getting out of the incentive business entirely would be short-sighted, argued state Sen. Robert Nichols, R-Jacksonville. “We can’t just watch the other states get those jobs,” Nichols said. Reeve Hamilton contributed to this report.